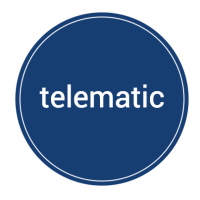 Tom Yates, one of the founders of Telematic, Inc. used to work for a large insurance carrier and helped design their usage-based insurance program. This is where he identified the need in the market for a smart phone app that can provide this kind of service. After coming up this this idea, he went home and built the application for a year. Marti Ryan was the CEO/COO of a technology market research and consulting company that focused on millennials. They met at a networking event, and together they have built Telematic into what it is today. Elisabeth Deffner was a freelance writer who moved into editing for national and local publications, and then into corporate communications focusing on insurance. She and her partner, David Beall had been working together to consult companies on marketing plans for insurance agents. There was no software solution available for these agents that would have made their marketing plans easier, and that’s when Insurance Social.media was formed. They wanted to create a social media marketing platform that was a collaboration of agents and writers, to make an affordable, easy, and effective solution for insurance agents. Shashaanka Ashili was a research scientist at Arizona State University leading multi-disciplinary technology development to understand cancer with an emphasis is bio-optical systems. He was trained as an electrical engineer, holds a PhD in optical physics, and completed a fellowship in medical devices and innovation. In 2014, his wife got into a non-fatal accident due to a distracted driver, which led Shahaanka to do some research. The statistics he found were startling. In first half of 2015 alone, fatal motor vehicle accidents increased by more than 14% with drivers distracted by technology as one of the main causes. Currently 26% of all accidents in the U.S. are because of drivers on their cell phones. He wanted to build something that was affordable for everyday families and consumers to reduce distracted driving, and ultimately help reduce the number of fatal accidents. This was the founding idea behind Smart Drivinc. Shashaanka is a proud, self-proclaimed disruptor and first mover. There are many driving solutions and applications out there, but none quite with the same value proposition as Smart Drivinc.